When applying for a new role, it’s not uncommon for an organisation to request permission to perform a police check. As conducting police checks is becoming a more commonplace step in the pre-employment process, some organisations may find themselves wanting to conduct police checks on existing staff as well. As a current employer, you may find yourself wondering whether this practice is allowed and if you should be concerned for your position. Below we’ve outlined the process an organisation should use when carrying out police checks on current employees. If your company has communicated that they will be conducting police checks on existing employees, they need to be careful and considerate in their planning and execution. This is a sensitive issue, so therefore needs to be approached by employers in an appropriate manner. The first thing an organisation should do is conduct a thorough risk assessment to ensure that there is an inherent risk to the roles they intend to screen for and conducting police checks is justifiable. This helps an organisation explain the situation to employees and minimises their chance for legal risk relating to discrimination claims. 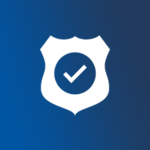 Once an organisation has completed conducting its risk assessment and is confident that conducting police checks on existing employees is necessary, they should inform all employees that police checks are being implemented as part of a wider risk management program. They should clearly explain the reasons for implementing the new policy and provide details on how it will help to mitigate risk and keep the working environment safe and secure for all employees. 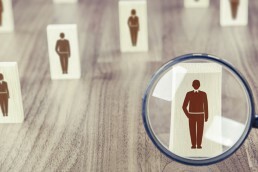 By reviewing the above, your employer will be helping to promote an open transition toward police checking and make you and your fellow employees feel more at ease with the process. 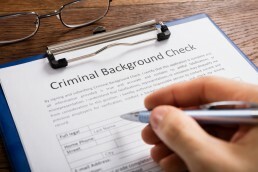 Can I refuse a criminal history check? If you refuse to provide consent, your senior manager should arrange a private meeting with you in order to fully discuss the new police check provisions, why they are justified and how the process will relate to your role. 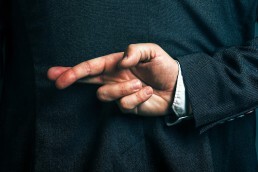 Your manager should again make it clear to you that there is a strict confidentiality policy, the company is following all fair work and discrimination legislation and that you will have the right to explain, provide further detail and/or dispute any criminal findings that are disclosed. The more details your employer can give to you, the more secure you should feel about the process. Your employer should make it clear to you that not all criminal records will be relevant to your role and any findings will be assessed carefully with consideration for several other factors. If you reveal the reason for your resistance to a police check, your employer should encourage open dialogue around the issue and walk through how this record will be assessed under the company’s policy. If you still refuse to consent to a police check, your employer should walk you through the organisation’s policy on failure to undergo a police check and ensure that you understand that failure to comply may result in finding that you are no longer suitable for the role, which could result in termination or change of position. 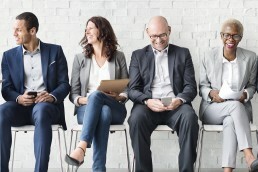 Anyone your employer conducts a police check on, whether a candidate or an existing employee has the right to dispute the result or provide additional information. 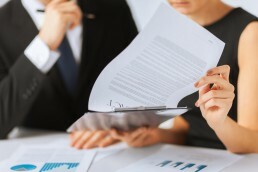 Therefore, it is mandatory that before making any decisions, your employer should first disclose the results with you. Informing you about your disclosable record will provide a forum for open discussion and will give you an opportunity to be heard. 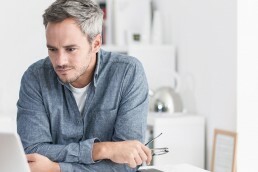 Your employer should ask you whether you would like to provide any further details or information to be considered before a final decision is made. It’s important that your employer fully explains the assessment process to you and that you understand that your criminal record does not automatically disqualify you from your job. They should go into detail about all of the factors that will be considered and encourage you to share details of your record and circumstances of the crime that could be mitigating factors, such as rehabilitative and preventative measures you’ve taken since the crime was committed. If your police check returns a criminal record that is relevant to your role and after disclosing the results, discussing them between you and your employer and considering the relevant factors, your employer determines that you are no longer suitable for the position, they should explore other options before terminating you. If possible, your employer should explore if there are other roles within the company that do not carry the same inherent risks that you could be transferred into. Clearly document the decision in writing to ensure they have documentation of the assessment process and reasoning in case of any potential allegations you may make.